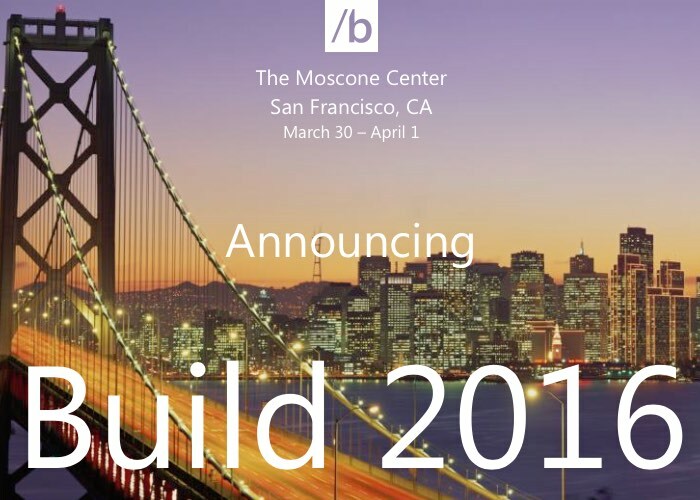 Microsoft has this week announced the dates for its Microsoft Build 2016 event that will be taking place in The Moscone Centre in San Francisco California from March 30th to April 1st, 2016. Those interested in attending the Microsoft developer conference can now register from the official Build 2016 website by the link below. The Microsoft Build 2015 is an annual conference event held by Microsoft that is aimed at developers using Microsoft Windows, Windows Phone, Microsoft Azure and other Microsoft technologies. Microsoft’s Steven Guggenheimer announced the dates for next year’s Microsoft Build event via Twitter. But as yet Microsoft has not announced any details on the schedule of events that will start in March 2016 but assumes more details become available we will keep you updated as always.